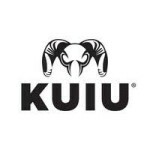 Kuiu offers advanced hunting and camouflage equipment designed specifically for mountain style months, clothes and accessories that use technical fabrics and advanced engineering to improve performance without adding weight or bulk along the way. Proprietary camouflage patterns are available from this company for those that hunt at high elevations and in colder weather, each of which uses an innovative digital pattern to break up the hunter’s outline. The Outlet section of the Kuiu shop is where customers will find discounts good for up to 50% off or more. Email newsletter subscribers get 15% off coupon that can be applied towards their first order.